For the ninth consecutive week BCIg registers 100.0, meaning BCI was a new high in this business cycle for these weeks. Will this growth continue? 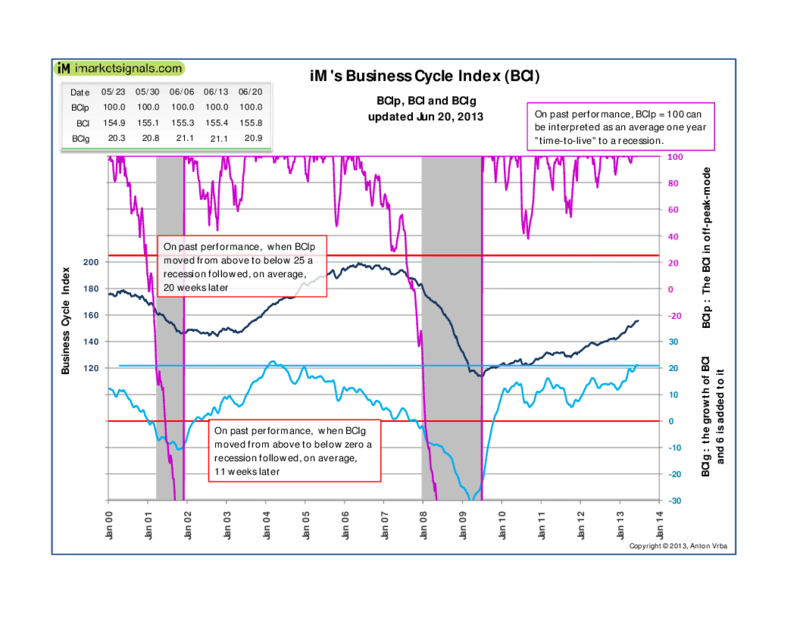 BCIg seems to signal otherwise it is marginally down from last week indicating a peak may have formed. The increase in BCI is attributed to further consistant decreases in the continues unemployed insurance claims.